Disclosure: I received a costume and mittens from Just Pretend Kids. All opinions are my own. I never knew the power of dressing up until just recently. 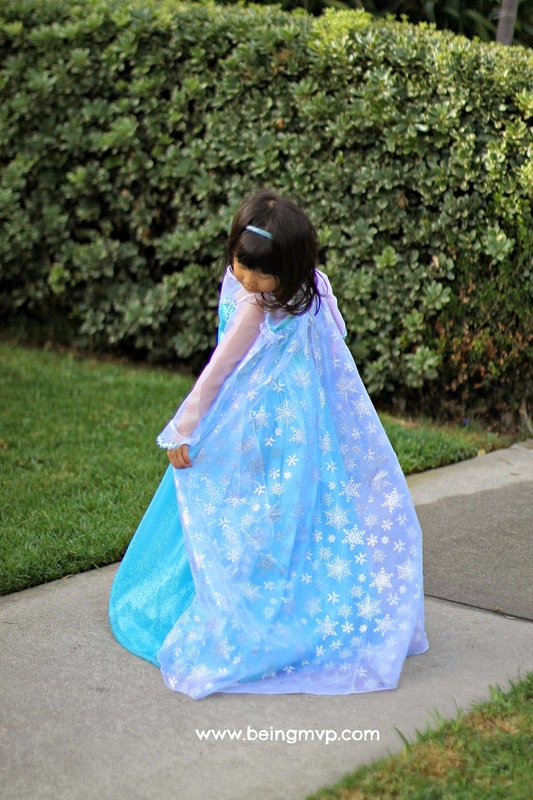 Kenzie has been infatuated with all things princess so I knew she would just squeal when she saw the Enchanted Ice Princess costume from Just Pretend Kids. This really is an enchanting dress shimmering with tons of glitter. The icy blue satiny skirt is topped with a fitted bodice and sheer sleeves. Kenzie was really excited about the hoop that makes the dress extra twirlable. The cape is amazing as it is long (just like she wanted) and printed with beautiful snowflakes. It's also removable so she can wear it with her regular clothes when she wants to feel like a princess when going out to grandma's or on special days at school. Although this dress is a tad bit long on Kenzie (size 6 but Kenzie usually wears 4/5), she is a pro at lifting it up and walking like the Ice Princess that she is. She does all her Frozen singing and dancing in this dress and asks if she can get powers in her hand and white hair for Christmas. Oy oy oy. It does get chilly at times in Kenzie's castle so she needs some mittens to keep her warm and toasty. 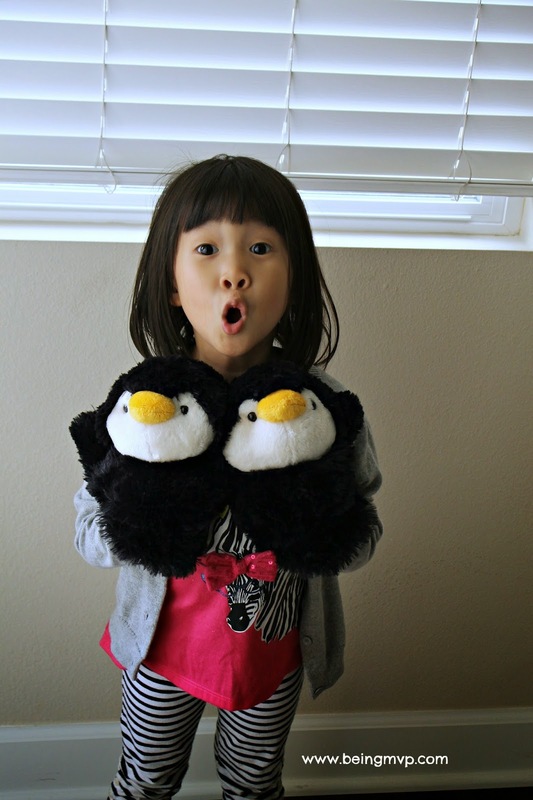 The Penguin Mittens are one size fits most (3-5) and very soft and fuzzy. They are functional yet fun as your child can play puppets while on their hands. Kenzie absolutely loves her new mittens and is having a blast wearing them. One winner will Receive Choice of Just Pretend Kids Mittens! 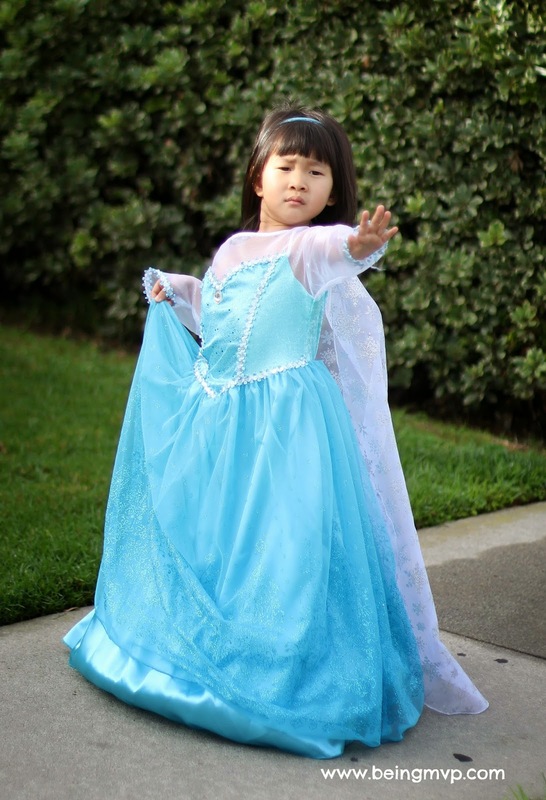 My daughter loves to dress up in her princess costumes! and she would love the pink cow mittens! She'd like to dress up in the Fairy Tale Princess Purple costume. I'd pick the Penguin Mittens. I would love to have the PENGUIN MITTENS for my granddaughter. She loves to dress as a princess of course! My son would love the Red Monster costume. I would choose the Monkey mittems. My granddaughter would love the Enchanted Sea Princess Turquoise/Lime and would chose the Blue Bunny Mittens. My children would love the Pirate Princess dress. The mittens we would pick would be the blue bunny. She loves the Enchanted Ice Princess. 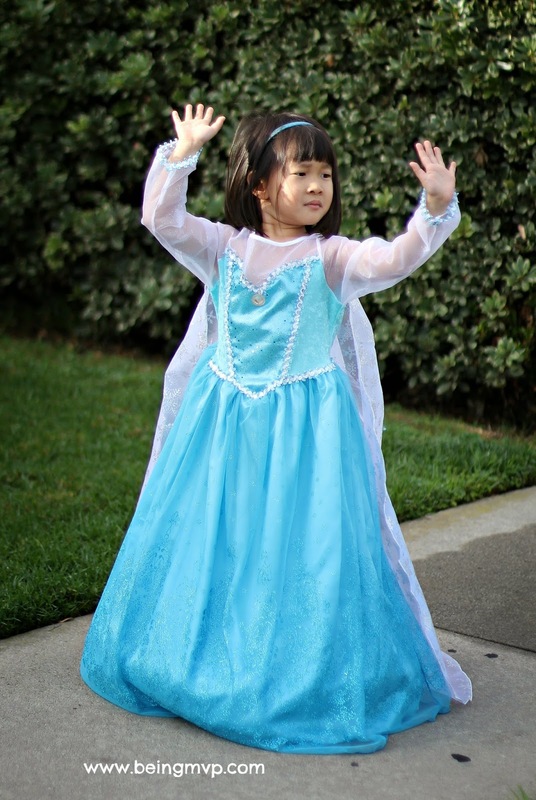 My daughter would love to dress up as the ENCHANTED SEA PRINCESS. I would choose the penguin mittens. Elsa of course! I would pick either the Penguin or the Bunny mittens! Ice Princess to look like elsa! They would love the Pink cow mittens! I like the monkey mittens!